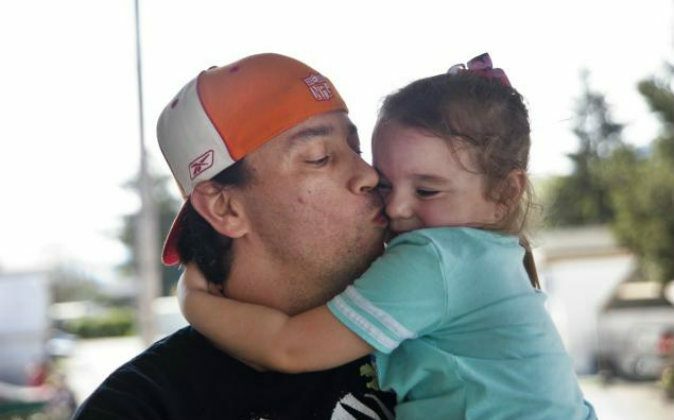 Bryan Thouvenel of Oregon is finally reunited with his now 5-year-old daughter, Harmony—after being separated from her for about two years. Thouvenel’s ex-girlfriend, who remains unnamed, took Harmony in 2014 and left the state. After years of searching, he finally found his little girl—and the estranged ex-girlfriend—in a Washington state homeless shelter, the News-Review reports. Thouvenel searched for his daughter, but had no luck finding her. Thouvenel now has custody of Harmony, and thanks to a grant from a nonprofit called Time to Put Kids First, an organization for children who are caught between parental fights, they are going on a trip to Kauai, Hawaii. Thouvenel met Harmony’s mom at a karaoke bar in 2010; they were together for only 2 years. As soon as the relationship ended, she left Thouvenel, took the child, and headed to Washington state. “It was kind of like finding a needle in a haystack,” he told KREM 2. Suddenly Thouvenel’s luck turned around in 2015. My child is healthy, happy, excelling in school, and showing so much growth. He was granted full custody of Harmony in Oregon in March, and three months later, as he was having dinner with his mom, Cindy Lorenz, he received a call from a friend who told him he had seen Harmony at a Salvation Army homeless shelter in Spokane, Washington. Upon hearing the news, the two immediately got into their car and drove 10 hours straight from Oregon to Spokane. Once there, Thouvenel got a court order for custody of Harmony. “It was very, very, very emotional,” he told KREM 2, of their reunion. According to the station, Harmony still speaks to her mother over Skype, and they are allowed to have supervised visits.